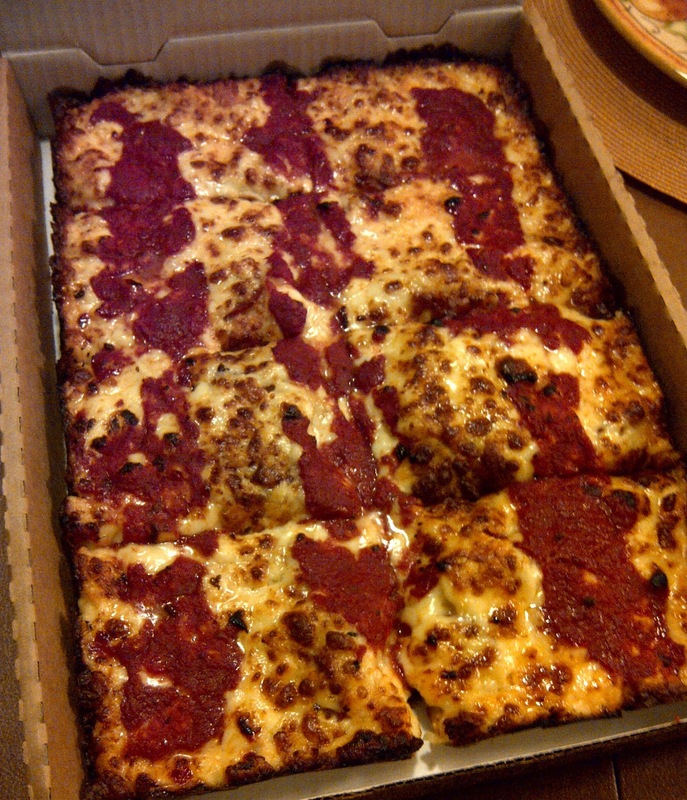 Growing up as a kid, our Friday nights were synonymous with pizza. It almost never got old. My mom would cook on the weeknights, and we would then splurge and eat pizza on the weekend. Last week I visited my sister up in Michigan. 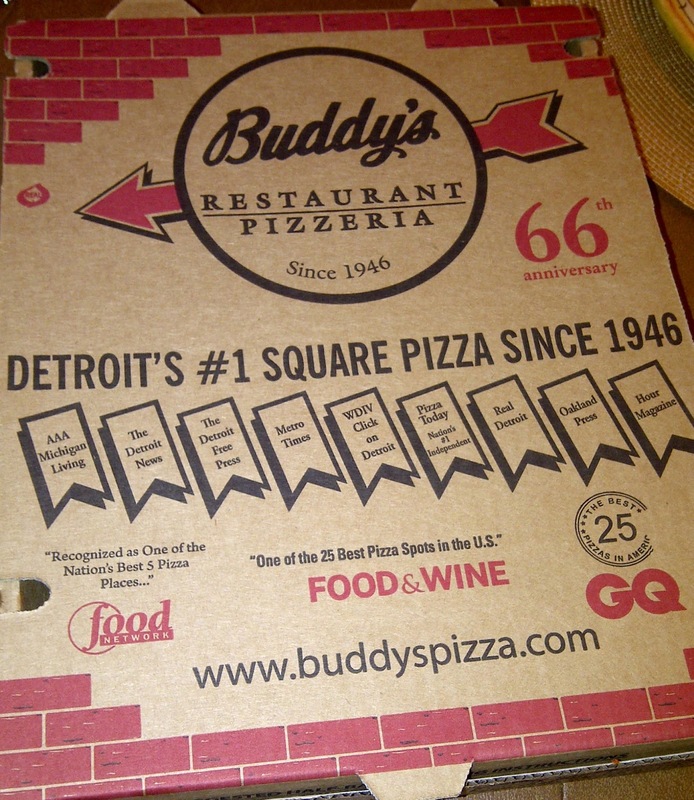 I didn’t know this, but one of the best pizza places in all of Michigan is within walking/running distance from Brittany. 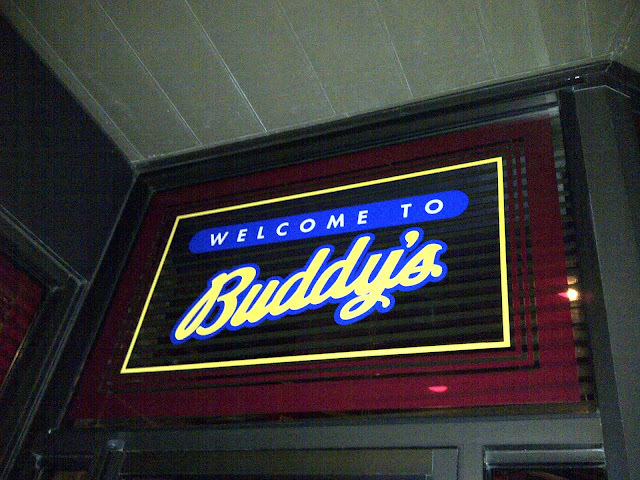 The place: Buddy’s Pizza. Established in 1936, Buddy’s introduced their famous square pizza – the first of its kind – to Detroit. According to their website, “it was love at first bite”, and I would wholeheartedly agree. I was impressed! The cheese was so fresh and the flavor was something I had never had before…. I’m not sure what kind of cheese they use, but all I can say was that it was powerful, in a good way. 🙂 The deep dish crust was not overly sweet like you would see at Uno Chicago Grill (one of my favorites). For deep dish it was light, crispy, airy and perfect. 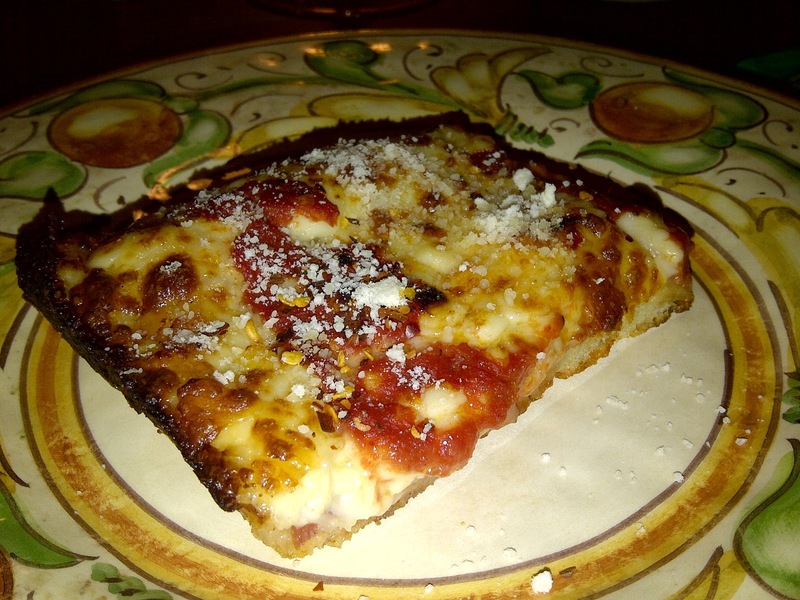 The pepperoni was hidden beneath the cheese as so to lock in the flavor….great idea! I’m making myself hungry writing this post! What makes Buddy’s unique is their square pizza. When Brittany told me that a large only had 8 slices, I was a little nervous. With Colby, Matt and I hungry and ready to eat, I didn’t know if this pizza would serve us all. Fortunately it did. I ate one slice, while Colby and Matt finished it off. 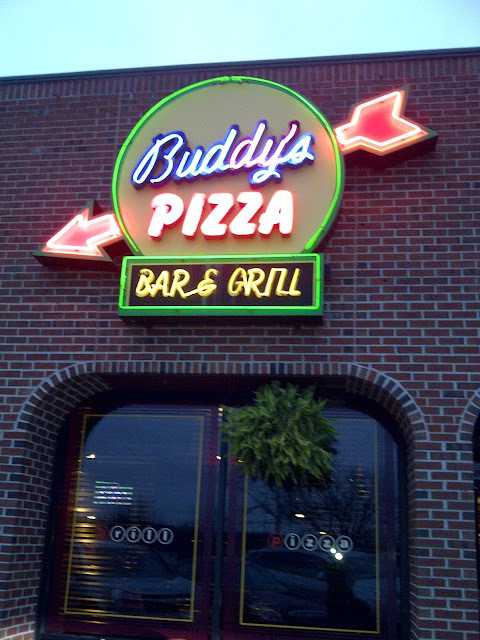 Now, before you accuse me of skimping out on some good pizza, let me warn you that one slice of Buddy’s pepperoni pizza has 337 calories and 17 grams of fat. Yikes, but it was worth every calorie! Good thing my sister and I ran 8 miles that morning. 8 slices for a large pizza. One slice of cheesy pepperoni pizza. Yum! Next time you’re in Michigan, you’ve got to try this place. There are nine locations in the Detroit area to meet your needs. Enjoy and have a great weekend!